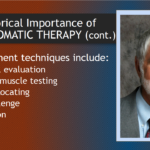 He found out that there were consistent patterns of weakness on patients no matter what age or occupation. But the patterns would come back when people got up and walked around. He'd been a computer programmer and he does not like to see "bugs" in the system. If something's not working right he wants to know why and thinks it's his responsibility to fix it. That was really his driving force. 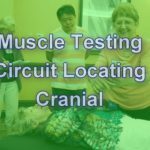 He attended Upleger courses so he could see how an osteopath taught movement of the skull and he learned things that he had not learned through chiropractic training. There's often a tipped and rotated head. Often shoulders that are not level. Right leg shorter is seen most often. If you've been to chiropractors they may have told you, that you have a short right leg, or maybe it's your left leg they consider short. 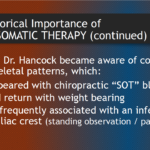 As a result the musculoskeletal patterns disappeared. 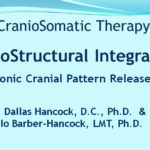 In 1989 cranial structural integration was born. November 16, 2018 in Vitality Tips. 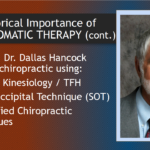 About Chiropractor – Dr. G. Dallas Hancock, D.C., L.M.T., Ph.D.
← It’s that time of year – BACK TO SCHOOL ! !